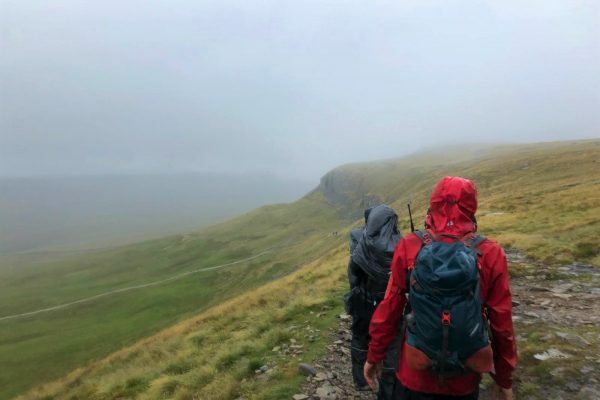 When the alarm went off at 4:30am on Friday 13th, it was safe to say no one in the team was particularly excited at the prospect of doing a 24 mile hike. 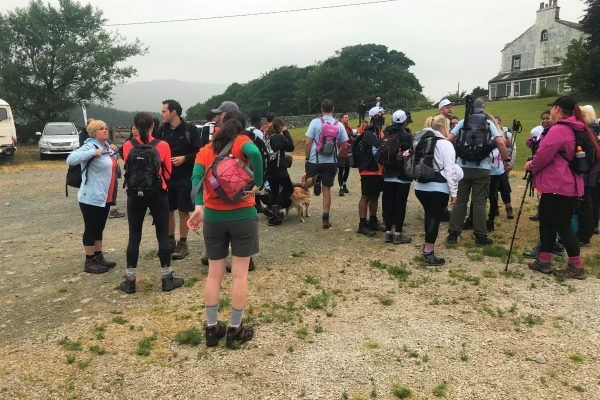 Loaded up with water, snacks – and some fabulously moist cakes from Apetito – spirits picked up as over 80 people in the care sector set off on the 3 Peaks Challenge, covering Whernside, Ingleborough and Pen-y-ghent. 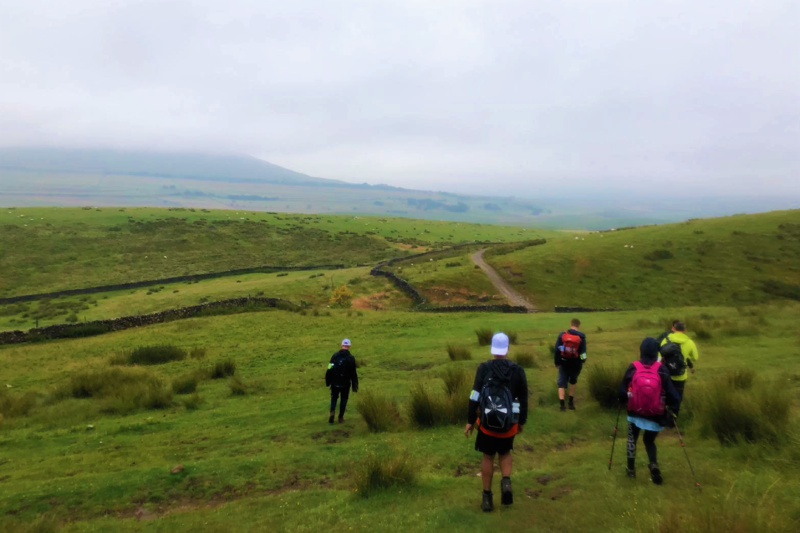 It was a rewarding day, with beautiful views of the Yorkshire countryside, but most certainly not easy going – there was a downpour of rain on the second peak (scroll down for some particularly damp photos! ), treacherous drops, blisters, cramp and broken walking boots (not to mention a lack of phone signal). By lunchtime – over 6 hours in – Team Oomph! was tired, sore and ready to eat our bodyweight in cake provided by the organisers. At the third peak, around 8 hours in, we’d set a nearly impossible pace and could barely speak to each other. Coming in just under 10 hours, we finished with a run to the line and it was all over – we’d never been more deserving of the cold pint and fish and chips devoured at the pub afterwards. 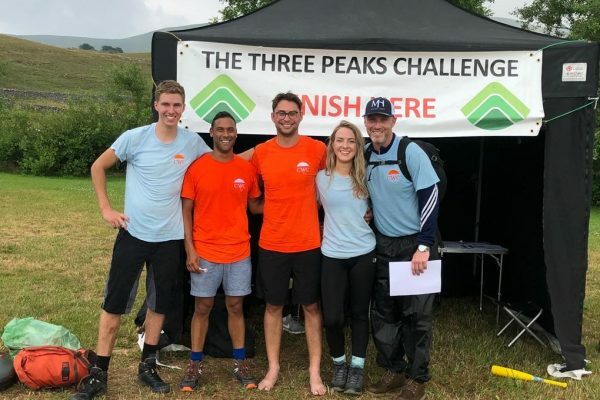 Whilst gruelling, we couldn’t have been walking and climbing for a more worthy cause, and the day provided a great opportunity to meet a wide range of incredible people from the sector, from suppliers to care workers themselves. 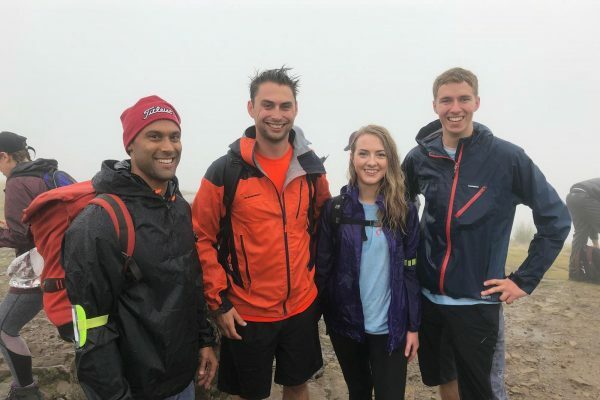 So far, we’ve raised over £1100 for the Care Workers Charity, but there’s still time to donate here – every pound goes some way in helping care workers in their time of need. With every life change, we reach new milestones and new circumstances are thrust upon us. In early adulthood, most milestones are an opportunity to interact with new people; we land our first job, move to a new house or gain a place at university. As we get older, our life changes naturally limit our opportunity to socialise; we retire, we stop driving, our children move out. The potential to slow down on social activities and new experiences as we age is apparent, but it shouldn’t be the reality. Remaining socially active and maintaining community relationships supports us all to maintain good physical and emotional health. Research suggests that participating in meaningful social activities enhances brain health, lowers the risk of high blood pressure and even lowers the risk of dementia. May 2018 marked a year since we launched our trips service – designed to break down the barrier between care homes and the outside world. The service provides regular meaningful outings, supporting older adults to maintain social activities – nurturing existing community relations and building new ones. From Cat Cafes to gin distilleries, we’ve seen the incredible benefits that trips have, from enhancing mood and wellbeing to reigniting individual passions our impact remains our driving force. Furthermore, our increasing presence in the wider community has raised the profile of Oomph!, positioning us as a credible partner for the likes of HQ theatres and The National Trust. We have had a wonderful year empowering older adults to get out and about – creating wonderful memories and new experiences. We look forward to furthering our impact as we grow… About to place 5 new buses on the road and with plans to expand our fleet by a further 16 buses by March 2019. 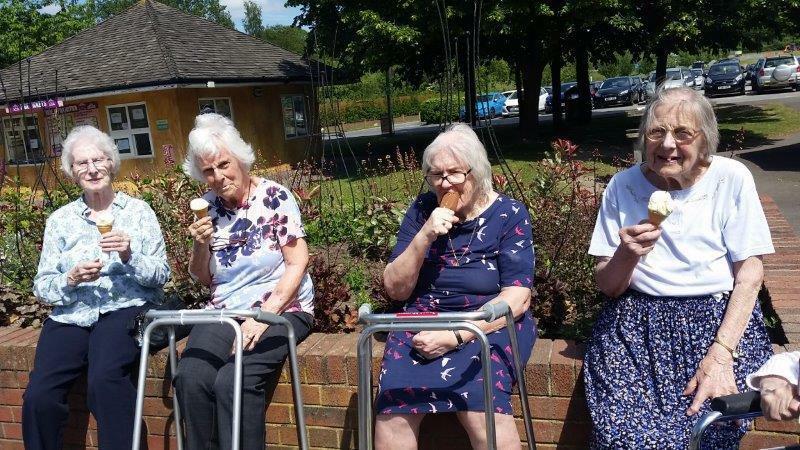 Borough Care Residents Get Out And About With Oomph! 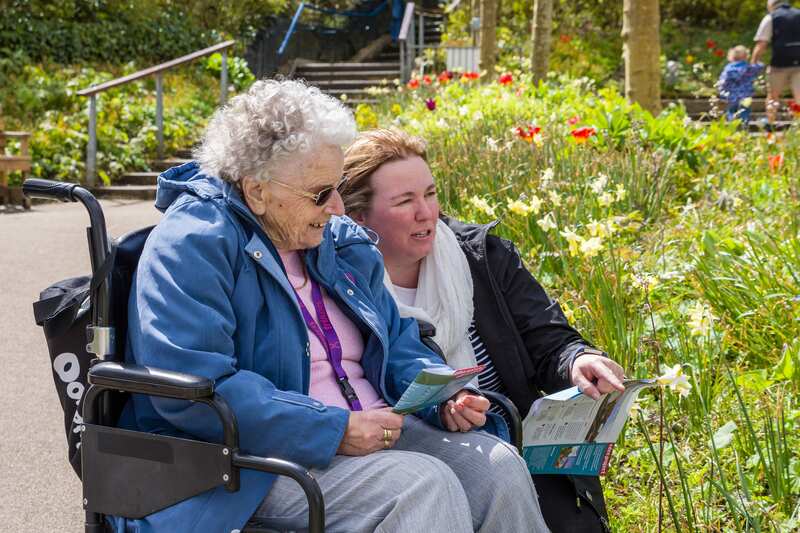 We are now partnering with Borough Care, the largest not for profit provider of care for older people in Stockport, to provide its residents with more day trips out to destinations further afield. Borough Care will work with us to offer residents regular visits to places of interest. Each of Borough Care’s eleven homes will participate in one Oomph! trip each month. Recent trips have included a day at the seaside in Blackpool, a chance to see the animals at Chester Zoo and a visit to Knowsley Safari Park. The health and wellbeing benefits to Borough Care residents participating in the Oomph! 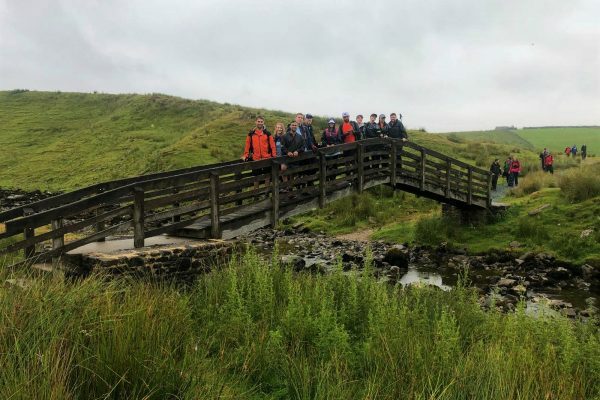 trips include: the excitement of doing something different; the opportunity to reminisce by revisiting places they may not have visited for many years; improving relationships with fellow residents through shared experiences; and spending more time outdoors in the fresh air, which is beneficial to both a person’s physical and mental health.